Have you got yourself a Tune Money Card yet? About few months back, I’ve get rid of the Satan’s creation: Credit Card. As a substitution, I subscribed Tune Money Card. Then, recently Maybank2U also launched its debit card and you can upgrade your ATM card to debit card for free! 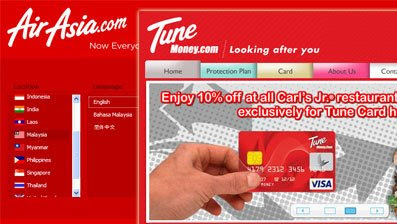 The another recent I use Tune Money is because it is safer to some extend: It’s Prepaid! As I purchase a lot in the Internet, hiding my identity and filtering with payment gateway is crucial for me. With it, I can limit my risk to the minimum. The best thing is, I’m able to withdraw Paypal to the cards. Thus, hiding from the IRS huh? ^^ Kind of Money laundering tools. Evil …. Occasionally I exceed my limit, in such situations https://www.unsecuredpersonalloansnow.com/unsecured-personal-loans/north-carolina is a good solution. Bad things happen though…Last Saturday I top up few hundreds to the card but the transaction gone missing! Luckily I have the transaction code with me! With quite a few calls to TuneMoney, they are manually recovering the money back to me.Yet, till today I’ve not receive any follow up call from them and I can’t buy things! kind frustrated especially when USD1 is going to be RM 3.7….what a lost! With the frustration Tuning my Money (and it seems that all of the receptionists are Indian) , I dig the company…guess what? So similar right? So I google it a bit….wala! Staking 40%! Now we get the whole story….Just hope that my money will be back to me soon.